Well, duh, yeah it's gray (except for the ruddy patch under the tail, of course). 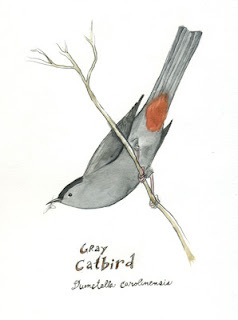 The Catbird is fairly widespread and common. The name refers to a distinctive, almost hoarse mewing that is part of its catalog of sounds. 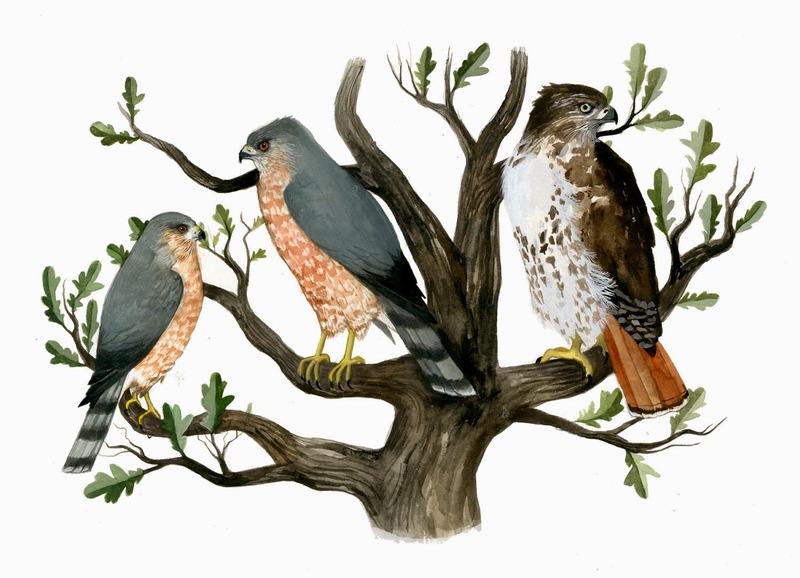 They can be found in the family Mimidae, which include Mockingbirds and Thrashers. I heard some harrowing field work tales this past week, and not the least of which was a cautionary fable as to why one should never, EVER stand or sit beneath a bird with mouth open. I won't even recommend standing underneath this painting - so move along and keep yer mouth shut!